When considering the interior aesthetic of your new home, it’s practical to approach style in decade blocks. While some trends swiftly come and go, there are certain design elements that will remain chic for decades to come. In today’s Aston Homes blog, we offer six tips to ensure your home’s interior design stands the test of time. An open-plan living zone creates a literal ‘heart’ to the home, coherently encouraging additional spaces such as formal dining rooms and rumpus areas to flow together. The epitome of casual, modern entertaining – the open-plan living zone makes the kitchen a hero feature and welcomes family and guests alike to make themselves at home in an inviting, spacious area. It’s important to employ classic colour palettes to cultivate timeless interior design, especially when deciding upon the paint for your walls and ceilings. Think modest greys, whites and beiges when setting a neutral foundation of your home, as they provide a great backdrop against which to experiment and get creative with your décor at any time. Still fancy a feature wall? Find inspiration courtesy of Wattyl’s Ideas Gallery of interior paints. If you want your interior design choices to remain effortlessly stylish for years to come, be careful with the use of novelty patterns. Avoid “trendy” prints such as strong geometrics, chevron or animal prints. Classic patterns such as stripes, plaids and Victorian-influenced damasks add an element of luxury and dimension that transcends a season of style. This article from Houzz unpacks how patterns can create powerful interiors. Trends are tempting to buy into, but they can create interiors that date swiftly – costing more in re-decoration in the long tun. 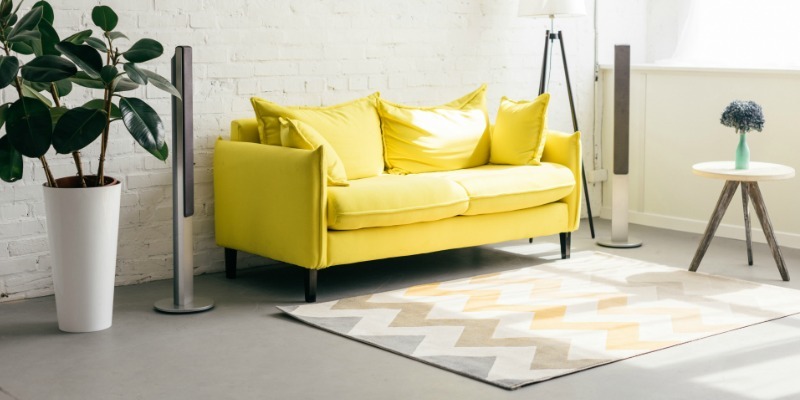 Design trends usually last a couple of years, so try to avoid extensive use of a particularly trendy colour or furniture style that will become outdated quickly. That being said, experimenting with trends in small doses such as pillows, throws or wall art is fun and easy – and won’t detract from the overall style of your home. Our final – and possibly most important design tip – is to invest in high quality items that will stand the test of time. Good quality furniture, accessories and fabrics provide a timeless background for your style as it evolves. Buying well first time ‘round will also prevent you from having to replace prematurely worn pieces every couple of years. Designing your home so that it will be attractive both today and in a decade’s time can be achieved with a little forward planning. Get in contact with Aston Homes today and diarise your visit to one of our stunning display homes – presented in modern, timeless style that is sure to inspire.